I know I love to save money and I bet you do too, one way you can do this is by purchasing a Product Bundle and then you will get to save 10%. 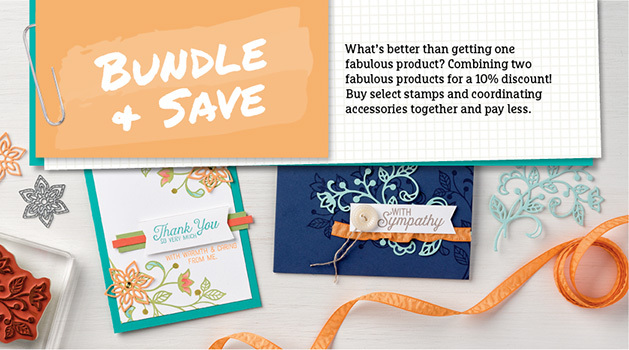 Sit back, relax and enjoy watching some videos showing you a few of the different Product Bundles that Stampin’ Up! have or view all the bundles. I will list all available Bundles underneath the last video. If you would like to order any of the Stampin’ Up! products that are shown in these videos or have any questions, please contact Patrice. You can also place an order online or find out more about the product by clicking on the image that interests you under each video.